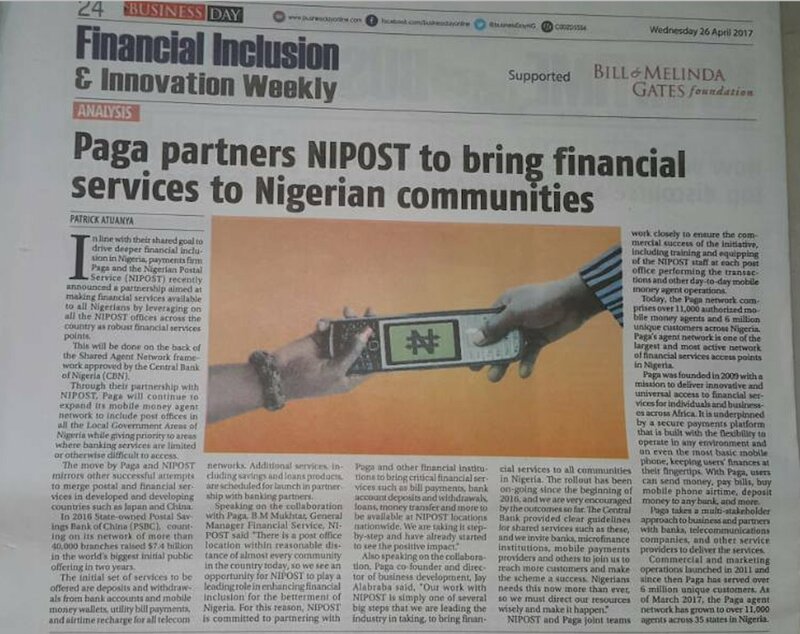 CEO of Financial Services Giants, PAGA, Tayo Oviosu has revealed that his company has partnered with Nigerian Postal Service (NIPOST) to bring financial services to Nigerian communities. Tayo Oviosu shared this information on his social media page last Thursday, with a copy of popular Nigerian newspaper, Business Day. Details about the partnership and what they both plan to achieve with this partnership can be found on 26/04/2017 Business Day newspaper. 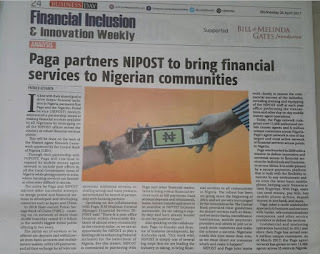 NIPOST already has over 5000 functional points in Nigeria, so if you add it to the 11,000 points that PAGA already have in the country then you will know this partnership deal is KING! As at now, paga already has over 11 million registered users.